Preheat the oven to 300 °F (150 degrees). 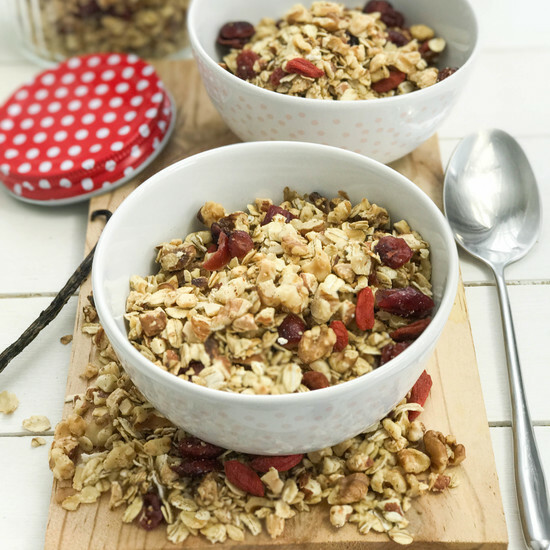 Mix the oats with the nuts in a big bowl. Mix the oil with the vanilla, salt and maple syrup in a small separate cup. Add the liquid oil mixture to the oats and mix it with your hands until it's evenly spread. Put baking paper on the baking sheet before you scatter the granola on it. 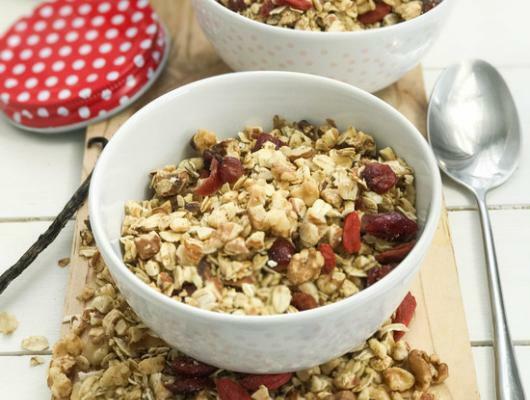 Toast the granola for about 10 minutes in the oven and add the berries after that.